The streaming video service could launch an commercial-free version as soon as this fall, but at a significant mark-up. Hulu may once again be considering an ad-free version of its streaming video service, after plans from a couple years ago went nowhere. 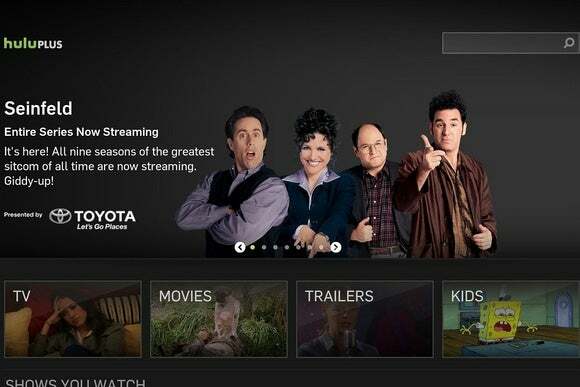 Sources tell the Wall Street Journal that the new plan, codenamed “NOAH” (for “No Ads Hulu”), could launch this fall. Hulu currently charges $8 per month for streaming with ads, but the ad-free version could cost $12 to $14 per month. Hulu has at least considered an ad-free tier before. Five years ago, then-CEO Jason Kilar told PCWorld that an ad-free version was a possibility, and in 2013, then-CEO Andy Forssell told Variety that an option to remove ads made sense in the long term. Still, Hulu’s website notes that ads are the price users pay for getting episodes of new TV shows the day after they air. Times change, however, and users who pay for streaming video are getting used to an ad-free experience. Meanwhile, the early success of HBO Now ($15 per month) and the arrival of Showtime streaming ($11 per month) are proving that customers will pay a premium for quality content with no commercial breaks. Netflix has also spoken of gradual price increases over the next decade, as the company invests in more premium video. The challenge for Hulu is that it must also uphold the business interests of its backers, which include Comcast (through NBCUniversal), Fox, and Disney. That means balancing their desire for ads to remain part of the status quo against the growing trend away from ads in paid streaming video services. The ultimate price of Hulu’s ad-free service might give us a sense of how threatened the company’s shareholders really feel. Why this matters: As I’ve written before, streaming video services are the Internet equivalent of a la carte channels, all competing directly against one another for business. The possibility of an ad-free Hulu tier is a sign that this system is working, as the growth of competing services is forcing Hulu to provide more options to its users.